The Lancaster Canal Company was formally dissolved on 1st January, 1886, and after payment of final dividends and bonuses, a balance of £101.4s.10d. remained, which was given to the Chairman, who had several commemorative silver medallions struck. 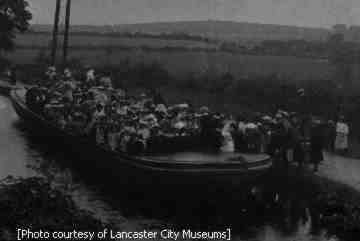 Although the Lancaster Canal Company was no more, the life of the canal continued with freight being carried to Kendal until 1944, and to Lancaster until 1947. Kendal Gas Works still received its coal by canal, and the substances required for gunpowder were brought via Glasson to the new Wakefield Gunpowder Works at Gatebeck. In 1874 the works were linked to the canal at Crooklands by horse tramway, which was later extended to Milnthorpe to join the railway. The main cargoes carried on the canal were coal from the south Lancashire coal fields, and limestone from Westmorland. These two gave the canal its nickname of the Black and White Canal. Other cargoes included slate, salt, timber, grain and potatoes. 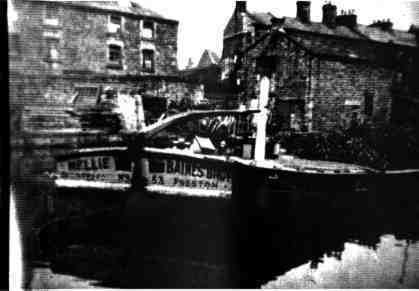 The average load for a laden coal barge was about 44 tons, with regular coal deliveries to Kendal Gas Works, as well as the many canal-side mills in Lancaster. The barges were often drawn by two horses because of the heavy loads, although many early photos show just one. On average a freight boat travelled about 15 miles per day. During the early part of the 20th century, up until the outbreak of the Great War, empty barges were often used for Sunday School outings at Whitsuntide, with about 100 passengers in their Sunday best, crowding in for boat trips from Kendal to Levens or Sedgwick. 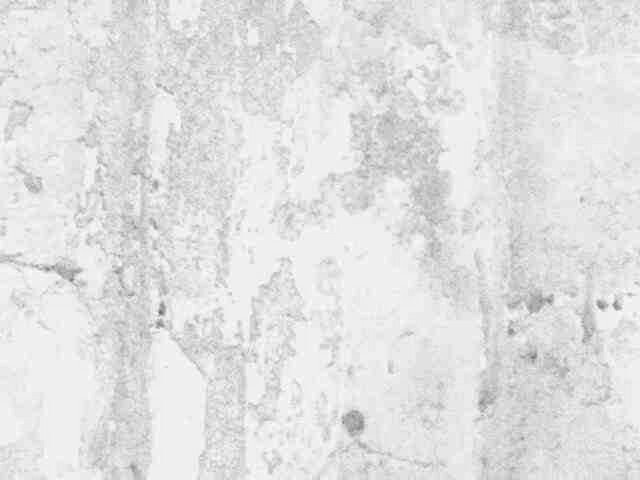 In 1923 the London and North Western Railway, including the Lancaster Canal, was taken over by the London, Midland and Scottish Railway (LMS), and by an Act of Parliament, dated 1935, the LMS was allowed to close half a mile of the canal at Kendal in 1939, owing to leakage from the canal bed. Between 1941/2 the rest of the canal to the north of the Kendal Gas Works was also closed. In 1948, the British Transport Commission took over the Lancaster Canal, and in 1955, due to more leaks, the 5.75 miles north of Stainton Crossing Bridge was drained, and the last two miles from Natland to Kendal had the channel infilled as well. In 1964 the first 0.75 mile at the Preston end was also drained and infilled. This included the demolition of the aqueduct just tothe south of the present-day terminus. A further 100 yards at Holme were drained and pipes inserted to carry the water over the problem area, although after complaints from locals and canal enthusiasts most of the pipes were removed and the channel restored. 1968 saw the construction of the M6 Motorway, which cut the line of the canal in three places to the north of Tewitfield, and the associated road alterations resulted in a further three obstructions. This culverting of the canal effectively stopped navigation at Tewitfield. In the mid-1970's the building of the A590, Kendal Link Road, cut the line of the drained canal bed at either end of the Hincaster Tunnel, leaving that short length of the canal cut off from the rest of the line by high embankments.